Dental X-rays are necessary to perform a comprehensive oral exam. Also called dental radiographs, they are used as a diagnostic tool for dentists to see more than in a regular exam. A dental X-ray can help uncover hidden structures, cancerous or benign masses, bone loss, and deeper cavities. At Juniper Dental we use an electronic sensor which takes digital images of your teeth. This is a much faster process and provides immediate images, which we can analyze in your same appointment. There are many issues a dentist can miss in a clinical exam. 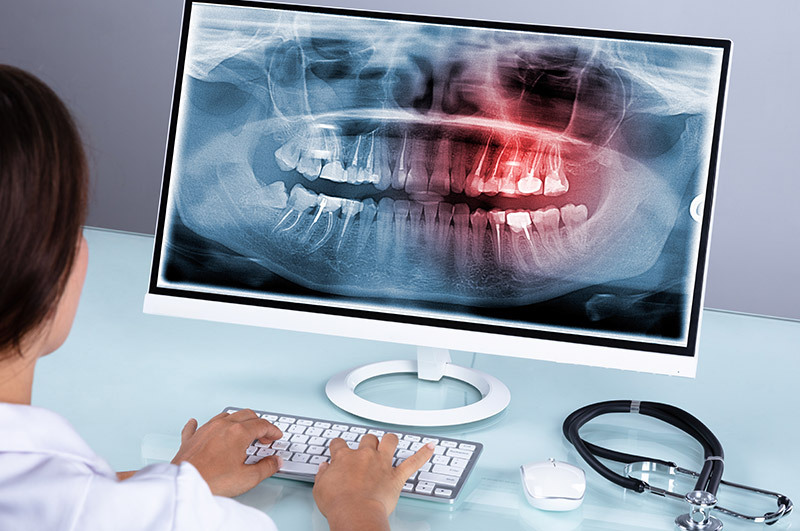 Digital dental X-rays provide a holistic approach to caring your teeth, mouth, and gums. This new equipment is more comfortable and safer in terms of radiation levels. Exposure to radiation is minimal, and we provide equipment to make it even less so.